We’ve seen God’s provision in so many ways this past year, especially in the opening of the Harvey Woods Lofts. 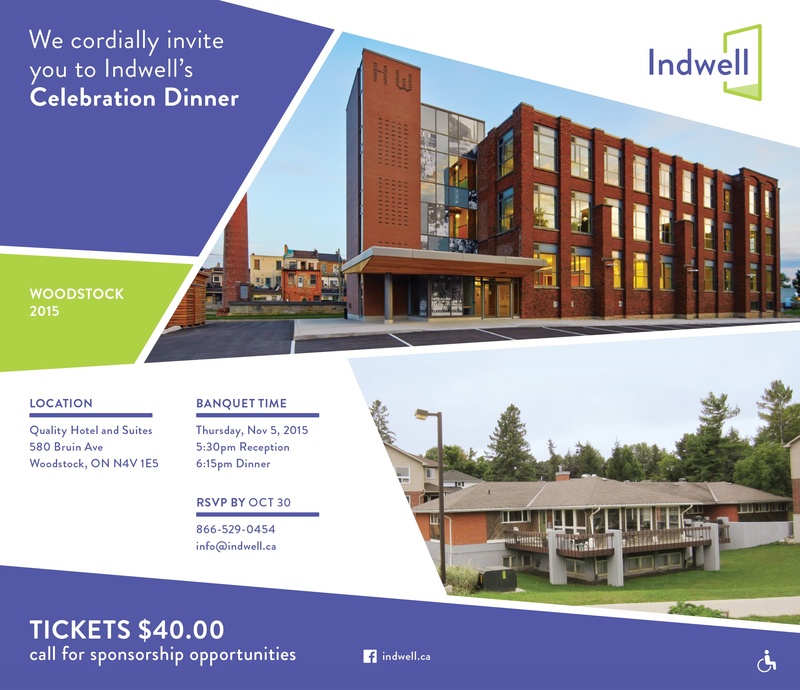 Indwell invites you to our annual Celebration Dinner on November 5 at the Quality Inn and Suites. Please call 1-866-529-0454 x445 or email info@indwell.ca to purchase your tickets.